The first on my list was Cafe 'Whipped' in GK-II. The best part about this cafe has to be the red leather high back cushy chairs which immediately help you sink in. 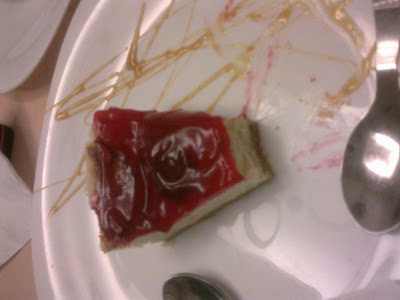 The strawberry cheesecake which I devoured was quite nice. My problem with it was only the base. It was kind of soft and a soft base can very easily kill a well set cheesecake. 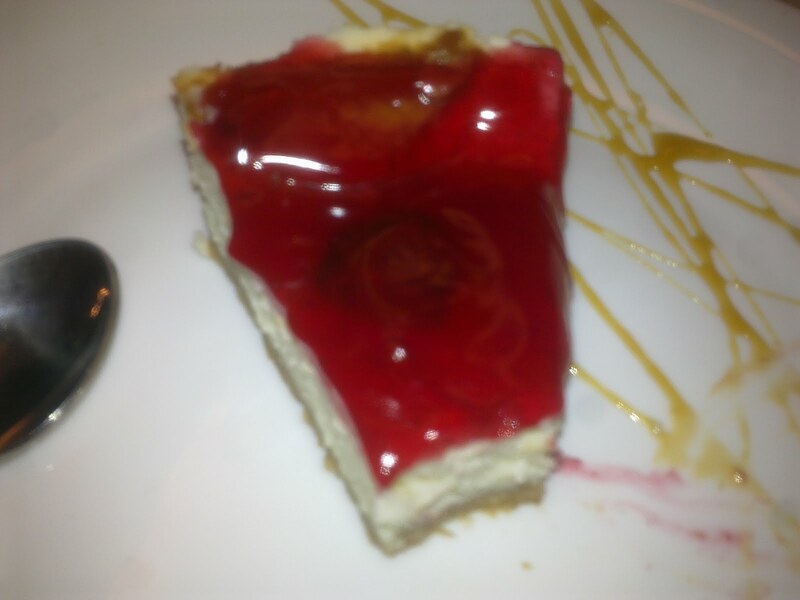 What I absolutely loved, however, was the granular strawberry topping on the Cheese cake, along with the smooth cheesey bit of course. 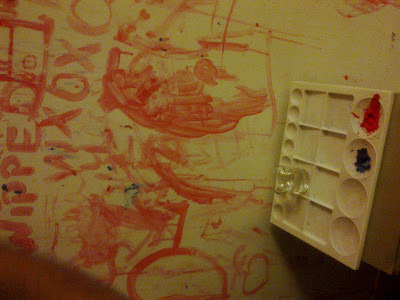 What did however win Whipped a brownie point from me, was their Paint wall. Set outside with a palette of paint and brushes, you are welcome to paint on the wall while enjoying the Whipped experience. Apologies, I'm having troubles adding links to this new version of Blogger! yummm it looks so delicious! !